Should Metro move driver changeovers out of Flinders Street, and confine drivers to line groups? Seems the stuff in today’s Age to do with moving train driver changeovers out of Flinders Street is a bit controversial. I don’t particularly want to discuss it in the myriad of places I’ve seen people (mostly train drivers, I suspect) leave me comments about it, so I’ll do so here instead. Central to the plan is a proposal to ”decentralise drivers” by removing them from their current city hub and basing them at five separate suburban locations. The new hubs would serve as the network’s changeover points. 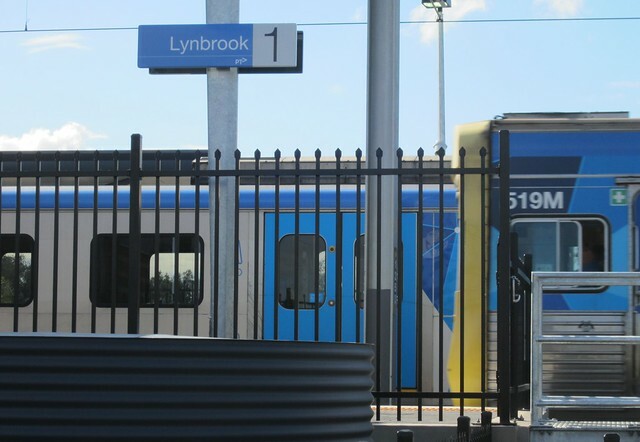 Drivers have warned the Baillieu government that the plan mimics the failed break-up of the network into two operators – Connex and Bayside – when Melbourne rail was privatised in 1999. ”The initial privatisation of the system which saw it split into two separate operating companies was an absolute disaster, with drivers unqualified to run trains on both sides of the system,” one driver wrote to Minister for Public Transport Terry Mulder. But Public Transport Users Association president Daniel Bowen backed the proposal to decentralise drivers, saying it would help keep trains moving. ”Removing changeovers from Flinders Street would be an improvement, given the delays there,” Mr Bowen said. As always with journalism, you need to be wary of paraphrasing. Note the quote. I did not say I agree with splitting the drivers into five groups, and only training them on individual lines/groups of lines. What I did say is that I (and the PTUA) supports moving changeovers out of Flinders Street. Train drivers may drive on any line on any day, and generally on a mix of lines. In fact there are rules that restrict the number of trips they can take on a single line on one day. Changeovers occur at Flinders Street, as well as outer-suburban stations. It’s the driver changeovers at Flinders Street which, as any regular passenger will tell you, are far from unknown. Apart from the simple act of handing a train over to another driver taking an extra few seconds, drivers coming off other services can be delayed. If one line is suspended, drivers who had been driving inbound trains into the city may get caught up in it, causing delays on other lines on the other side of town. Metro and the government want to move driver changeovers from Flinders Street. I think this makes sense, to maximise throughput of the busiest station in Melbourne. It’s not just about cutting delays to current operations, it’s also about allowing more trains to run on the current infrastructure, by pushing them straight through, keeping them moving, as per a stop at somewhere like Southern Cross or Melbourne Central. Other cities around the world already do this. For example, Sydney, London and Paris all have networks designed so that most or all trains from the suburbs, straight through the central city, then out again. This change, combined with the City Loop, would effectively do the same for most lines. This is a related, but separate, issue. Metro also, it seems, want to completely sectorise the rail system, and have drivers dedicated to specific groups of lines. It reduces flexibility. You can no longer move drivers around the network as needed if they aren’t qualified to drive on all lines. Which is not to say that every single driver would be restricted in this way; it would be logical to have at least some who could drive anywhere. Safety issues. It’s said that drivers who get too “bored” of a line may get less attentive, creating more issues such as Signals Passed At Danger. On the pro side, it would cut the training required, meaning the recruitment process for new drivers would be quicker. But I think it’s a really hard issue, with genuine drawbacks. One way of doing it which would avoid many problems would be to move driver changeovers to the burbs, and have drivers confined to a single line group on a single day, but move them around between groups on different days. I’d say there are two factors in play with this. Network reliability, and industrial relations. Industrial relations: By limiting drivers to a pair of lines, and removing the fault finding component of the job, there would be arguments to reduce driver pay. Naturally I am opposed to this, and I don’t believe that it is a legitimate reason to make such large changes. Network Reliability: This is a legitimate reason to make changes, as with Melbourne’s transport requirements increasing exponentially and more trains needing to be run, changes will happen. However, there is a need to look at the changes pragmatically. Firstly, I would disagree that simply changing drivers at Flinders Street causes as many delays as it may at first seem. From experience, I have changed drivers and am In the seat before the signal goes green, and definitely before passengers have finished loading. The long waits timetabled at Flinders Street are mostly due to timetable padding to allow a train which has arrived late to depart on time. A degree of padding is necessary, however it could be moved out to, lets say, North Melbourne where the Northern Loop trains bifurcate out into two pairs. With some changes to the Train Describer Number system whereby the numbers change at North Melbourne and Richmond instead of Flinders Street, that would cut down on the time required by a driver to “set up” the train upon taking over. This would have the added benefit of the train showing the destination for its next trip before arriving at Flinders Street. If there are key times where the driver changeover does take too long to allow the service reliability, I believe it would be more advantageous to limit the ‘through-running’ of drivers to those times, and still have a central driver changeover point for the rest of the time. The advantage of this kind of approach is that you retain the flexibility of drivers being able to run the whole network, but still get critical time saving if and when required. This ties in with the group-running concept. It’s one thing to say to limit drivers onto one or two lines for the shift to prevent knock-on delays on other lines, and to change which line on a daily basis, but that only works for drivers based in a central location if you aren’t going to have a central changeover point (and, if you aren’t going to have a central changeover point, one might question how you would have a central depot!). Lets say I’m a driver based at Hurstbridge depot. With pure group and through running, I would start my shift at Hurstbridge, drive a train to flinders street and then through to South Morang, where I would change with another driver (likely at Epping, as that’s where the depot is for that line.). I’d then run another train back the other way through to hurstbridge, rinse and repeat. Firstly, that’s a long way without a toilet break, but secondly to be able to use your idea of the next day running a shift where I would, say, run Frankston to Werribee, I would need to sign on at Newport, Mordialloc, Carrum, or Frankston. This isn’t really practical. One other point that would be worth noting is that an important duty upon handing trains over is to advise of any faults which may affect the operation of the train. This quite quick, along the lines of “Motors out on leading centre motor, booked at other end”, or “Rheostatic brake inoperative on trailing motor”. If the majority of driver changes are happening at terminal locations, there’s no opportunity to safely hand a faulty train over. This is an issue that arises at present, however due to the limited nature of changing drivers at terminuses, it’s fairly contained. I’m not entirely comfortable with this “blind” changeover becoming the norm. As some final food for thought, drivers currently change over when outstation shifts change at Broadmeadows, Epping, Macleod, Upper Ferntree Gully, Ringwood, Westall, Dandenong, Mordialloc, Carrum, and Newport without delaying trains or having additional time added. Most people are unaware of this, and are surprised to find it out because (unsurprisingly) most people associate the layover at Flinders Street with the change of drivers because they see it happen every time. Well I’m glad Metro are continuing to make the sorts of improvements others have been pointing out were possible for a long time; unlike Connex who seemed to claim most of what Metro are now doing was impossible. As for the driver issue, I don’t really see why it is an issue. Surely as you’ve pointed out drivers can stay up to date by driving on different lines on different days. Training can also be made easier, hire someone, train them up on one line then later down the track when for whatever reason there are extra staff (less people on leave, etc) train them up on a different line and so on, until they’re capable to drive the whole network. I’m sure there are some requirements as to how often a driver must drive a line to stay “current” but I can’t see why the vast majority of drivers couldn’t be qualified for all 5 groups. I’ve heard before its important to retain many switching points to allow greater flexibility as well; but I didn’t buy that argument either. Flexibility isn’t as important as reliability, and under the current situation the network isn’t very reliable. I don’t want my train to be delayed because someone fainted on a different line, that’s not flexible that’s daft. I was reflexively horrified when I first heard Simon Lane excited by the prospect of splitting up CityRail into up to six disconnected subnets and still hope that network flexibility can be made to deliver better overall performance than such separations. Having looked more deeply into the question (and surrounding mythology) over the intervening couple of years, ending the presumption that all Metro services run via Flinders Street has become an even more urgent objective. While no single loop tunnel currently has portals towards both North Melbourne and Richmond (or Jolimont), surely the work to connect one of the two North Melbourne portals to a different loop tunnel and likewise one of the three Richmond portals to the current North Melbourne tunnel would be a quicker solution to through city capacity, allowing through routes via the underground loop which bypass Southern Cross and Flinders Street altogether. Whatever we can do to break Flinders Street’s monopoly we should do, as it will open up other possibilities where too many have been allowed/encouraged to limit their thinking for too long. As a short reply to Julian Wearne’s post, leave is rostered to be more or less even all year around. There isn’t really any time when there are more drivers available due to fewer being on leave. To train someone up on a line takes more than just a day or two. You’re looking at a number of weeks. Even more if that also means training the driver to use a different type of train, as would become an issue with X’Trapolis and Siemens trains. Can I ask why there is no opportunity to talk to the next driver at terminal locations as opposed to Flinders Street? Wrong end of train. If I cut out at, say, Frankston, the other driver will be cutting in at the other end and driving to city from there. To timetable enough time for drivers to change ends for hand over, you perversely have to timetable even more time than you would to just have one driver change ends! The biggest advantage of a drop-on driver is being able to turn the train around in less time than it takes to have one driver changing ends. This is important at Sandringham, where there is only one platform. Fair enough. Seems like a two way radio or even a walky talky could fix that problem pretty quickly. Siemens and (new model) X’Trapolis trains have cab to cab intercom which could be used (when it’s actually working. It’s among the giant pile of “maintenance” faults which never seem to get fixed when they fail). Comeng and Hitachi trains don’t have cab to cab intercom. If drivers are locked into groups then trains cannot be shuffled around in the inner city to prevent more delays to the system as it is currently done. For example a city bound upfield service in the evening peak is running 10 late for whatever reason. That train is scheduled to make a service when it arrives, however its going to be late, so what happens at the moment a lot of the time is the controllers will steal a train from another line if possible i.e a train coming up from dandenong. they will slot that into platform 4 to form the service that the late upfield was supposed to make to get that train out on time and the late upfield service will come in onto platform 6 to form a train that was taken out from the caulfield group. This train shuffling practice currently helps to keep delays from blowing out even more than they do now. However removing driver changeover at flinders street will completely remove this option in its entirety. there will be no way to make up lost time than increasing the practice of station skipping. which will no doubt anger the public even more so than what it has currently. Instead of declaring something impossible simply because the current setup doesn’t allow it, why not try to develop solutions? The claimed inability to communicate with an incoming driver when changing drivers at a terminus could be solved in many ways. – have the incoming driver meet the outgoing driver as they step off the train, then walk the length of the train with them and discuss any issues. Problems are not insurmountable just because current procedures have created them. Phillip, faults currently are reported as they arise and booked into the Fault Management Protocol system. The disadvantage here is it requires train controllers to reliably contact drivers to advise of faults. I have doubt that this will happen. A fault log computer system would be a good idea if management are prepared to spend the money on it, the downside would be ensuring that system is working too. It would be doable but quite expensive to retrofit as it would involve new cabling along the length of the train. Having both drivers walk along the train would be perfectly feasible, however it locks you into “changing ends” time, when “drop on drivers” are often provided in order to cut this down to clear a platform quickly. If a driver has to change ends, it’s a 5 minute minimum layover, whereas if the train is changing ends with a new driver at the other end, it can leave in only 2 minutes. Please don’t put words into my mouth. I never said the issue was “impossible” or “insurmountable”. I’m merely addressing issues that haven’t been brought up here. As an average train user, this looks like a great idea. I’ve always wanted Melbourne’s rail network to have high frequencies (5 minutes sounds amazing) to put us in line with other cities around the world. I’ve also always wondered why trains have to stop at Flinders Street for so long – it just seems so inefficient and nonsensical and would make much more sense to have trains continue cycling through their lines all day. Of course as with any sort of change there’s going to be some resistance from the luddites. Metro has done the right thing by putting customer experience at the forefront of their operation. If the drivers don’t like it, well, I’d suggest they look for work in another industry. After all, the rail network exists to provide a service to passengers, not to make life easy for them. @Mark, “Metro has done the right thing by putting customer experience at the forefront of their operation.” — hahaha, have you seen the stuff recently with them bypassing stations (both outside peak and in during peak periods) to keep their punctuality stats up? @Daniel, is it not better to disrupt a few hundred as opposed to a few thousand given knock effects of delays to other lines. The concept of group running is intended to eliminate these knock on effects and stoppers running express should no longer be required. Incidentally many on the train love it when their stopper runs express. @Ben, Metro’s alterations to skip stops would be understandable if the technique was used for getting trains into position to run peak services, but this is simply not the case. Don’t believe their propaganda. They are altering peak trains for no good reason. @Tony, it seems that a route which bypasses both Flinders and Southern Cross really has some drawbacks from a customer perspective. I’ve given this train stopping problem a lot of thought, and come to the obscure conclusion that it is more OK in the morning and less OK in the evening. The reason being, that for the “typical” commuters in the morning, the ones already on the train benefit, and the ones on the platform disbenefit, but not so much. And there are few losers on the train because the vast majority are going to the CBD. But on the typical PM service, there are more losers than people who benefit. Can’t we have driverless Trains already? Paris and London are doing it… Atleast a Computer does not complain about getting deskilled. @enno, not so if we start with Sunbury(/Melton) to Pakenham/Cranbourne that is almost exactly what the new Metro project has planned for many $billions more. There would be more than enough opportunities for Sunbury line passengers to switch to the viaduct route at Footscray or North Melbourne, as Werribee et al passengers now do in reverse to get to underground loop stations. Even more so the other way with change opportunities at Caulfield, Malvern, South Yarra and Richmond (assuming continued express patterns). Even if it takes a bit more than the historic 40 years for the next doubling of Melbourne’s population to 8 million, we are going to need more than one new track route through the CAD (and even more through the densifying, job-generating inner suburbs) so the sooner we get used to having services which don’t go through Flinders Street and Southern Cross the better. @Nick – You can’t just plonk down a driverless train on a network that was built for trains with drivers. You need to build lines specifically for driverless trains, and the initial expense is considerably higher than building a more traditional line. The trade off of couse is lower operating costs, so you an afford to run high frequencies virtually 24 hours a day if you like. But Melbourne has a bloody big rail network, and it would be a bloody expensive and time consuming job to convert the whole network. It’s worth remembering that whilst Paris and London have some driverless lines, the vast majority of their network isn’t driverless.